The pot is called the Kurukuru Nabe and was created by Hideki Wantanabe who is a dentist. 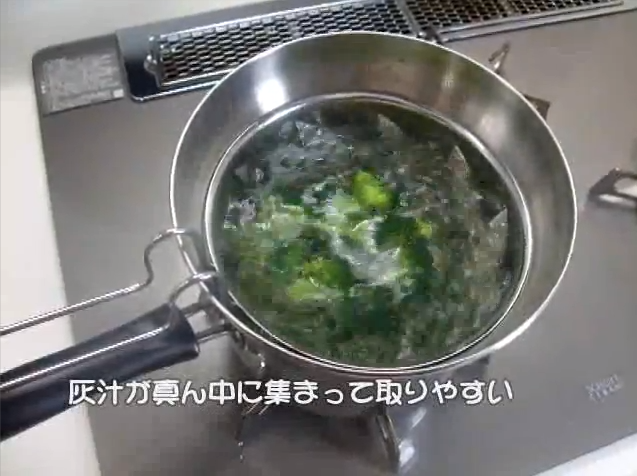 Although you might think that this is some motorised or robotic contraption, a closer look shows it is simple a device that has been designed just right to swirl the water around the pot and keep things moving inside the pot while cooking. As the contents are constantly being stirred around at boiling point, there it is less likely for the contents to spill over. The device measures 7 inches in diameter and is designed to work with pots on gas hobs (not sure why electric hobs are not compatible). Price wise, it costs $105. A video can be found below along with more details at Ubergizmo.